In a Nutshell: The launch in 1985 of the first widespread online trading platform, Trade*Plus, forever changed the daily routine of investors and money managers. Today’s traders demand instant, always-on access to brokerage accounts, earnings reports, and breaking stock market news. 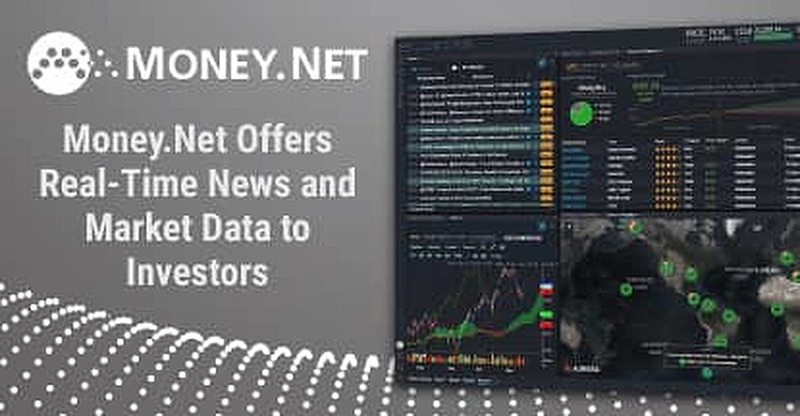 To support these traders, Money.Net created a platform that requires no downloads and offers multi-screen viewing of market prices, charts, financial data, and breaking news alerts. The company’s proprietary newsfeed, Dataminr, uses a unique algorithm to highlight news stories and deliver them to users before they reach the mainstream news media. The company has grown exponentially in the last five years, while offering its services for less than what its competitors do. Back in 1985 — an eternity ago in the world of FinTech — a young company called Trade*Plus offered a retail stock trading platform to American Online and Compuserve users. Traders who wanted to conduct a transaction had to use their modem to dial up an internet connection, wait through that annoying, scratchy sound that modems made back then, and put their request in a queue that — hopefully —would be executed at some point. Try getting a modern trader to show that kind of patience. Technology connects today’s world in ways once thought to be unimaginable. Instant financial news and transaction platforms make it possible to buy a stock and watch the price change (hopefully for the better) in less time than it took you to read to this point in this story. News that once took days to reach across the globe is now considered old an hour after it happens. The key to successful trading and managing client investments is learning about that news before anyone else. When money managers and independent investors look for ways to monitor market prices, read documents, create charts, access financial data, and receive breaking alerts, they look for a service that is fast, reliable, and doesn’t eat away at their profits with monthly fees. Money.Net plans to transform the $30 billion financial information industry with its release of a multi-screen information platform that runs natively through a user’s web browser and requires no download. Money.Net’s platform provides traders with real-time market prices along with relevant fundamental reference data for global markets — like statistics on supply and demand and corporate actions. The platform includes a professional technical charting system, live breaking market news, and an Excel API to update user spreadsheets with live feeds and historical data. Money.Net’s proprietary news services, Dataminr and Squawk, combined with its Clipster video search engine, give users access to news and information at speeds that most of their competitors can’t claim. Dataminr, part of the company’s proprietary newsfeed, runs on a unique algorithm that aggregates market-moving events into one stream. Morgan says the goal of the feed is to provide news to users before it is delivered on the television or through news organizations. The type of news that Dataminr provides can range from airport shutdowns to explosions at an oil refinery. This screenshot of Money.Net’s platform page shows the layout of the information the website provides. Money.Net’s Squawk team is a small portion of the website’s staff in Manhattan, but the group’s job is as important as any at the company. The Squawk audio newsfeed gets updated around every eight minutes with a brief soundbite that informs users of upcoming data releases or other breaking news events. Examples of Squawk announcements are reminders that non-farm payrolls will be released shortly or a major company’s earnings announcement is happening within the hour. Perhaps the most revolutionary offering is Clipster. With so many financial news television channels and live broadcasts airing at once, keeping up with the constant stream of news and insights can be hard. Clipster is a companion that watches all of the channels for you and reports back with its findings. Users can type any term that interests them into the search engine. Clipster then begins monitoring several live television programs and sends the user emails with transcripts any time the searched term is mentioned on air. Along with its market-leading newsfeeds, Money.Net also provides analytics and tools that make any money manager’s job easier. Following the market — from the pre-market news until well after the closing bell has been rung — is made effortless with Money.Net’s widespread coverage of commodities and futures, as well as charting tools that enable investors to customize time frames, add hundreds of technical indicators, and export their data. Morgan Downey is the CEO of Money.Net. While many of the firm’s competitors offer live streaming of quotes and news, Morgan said that his company’s platform has an edge in terms of engagement and usability at all times of the day. A lot has changed since Trade*Plus offered AOL and Compuserve users a retail trading platform in the mid-1980s. One of Trade*Plus’s founders, William Porter, broke away from the firm in the early ‘90s to create his own company. That firm, E*Trade, now processes nearly 250,000 trades every day and is a leader among online brokerage firms. Many of the company’s traders turn to Money.Net for instant news and analytics on the stocks they buy. Money.Net offers a frictionless newsfeed and analysis experience that requires no download and can run directly from any web browser. The firm’s collection of charts and information, as well as its integration of Dataminr and Squawk into its newsfeeds, offer best-in-class financial data for far less than the cost of similar information from its competitors. And according to Morgan, the current version of the company is only the beginning of where it is headed. 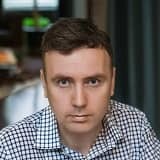 That price difference, along with the constant evolution of the product, has Money.Net earning the attention of traders accustomed to just a few names dominating the financial news space. “We’re going to continue to disrupt this financial data space,” Morgan said. “Our goal is to be ubiquitous. Our vision is that all people should have access to financial information at their fingertips.